Providing services to the heavy capacity scale industry since 1987. With locations on both the east and west coast of the US, our expanding fleet can provide services nationwide. Our business has been family owned with no affiliations for over 20 years. Our portable truck scales are ready when you are! All scales are fully electronic, fully portable with indicator and printer as standard equipment. Delivery is your option. 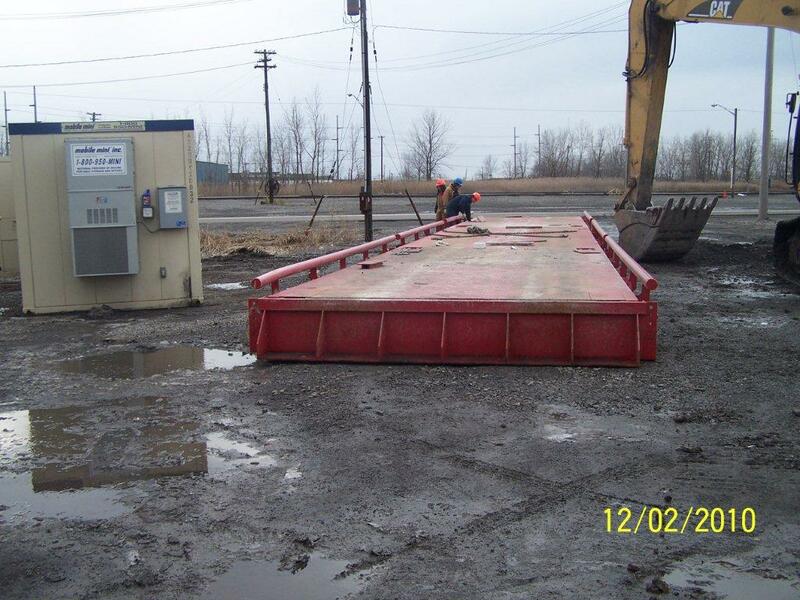 Come and get it, or have us deliver the portable truck scale directly to your customer. No problem! Let us deliver the scale, set it up, build ramps, and wire it. All you need to do is set up a certification. Our crew is certified by Eastern Medical Support to be drug free. We have joined a consortium within the Eastern Medical Support Corporation and therefore subject to random drug and alcohol testing. This further ensures your job will be carried out in the professional manner our customers have come to expect from us. Don't forget to check out Eastern ConTech for all of your truck scale and railroad scale foundation requirements. Eastern ConTech has been building scale foundations for over 20 years.